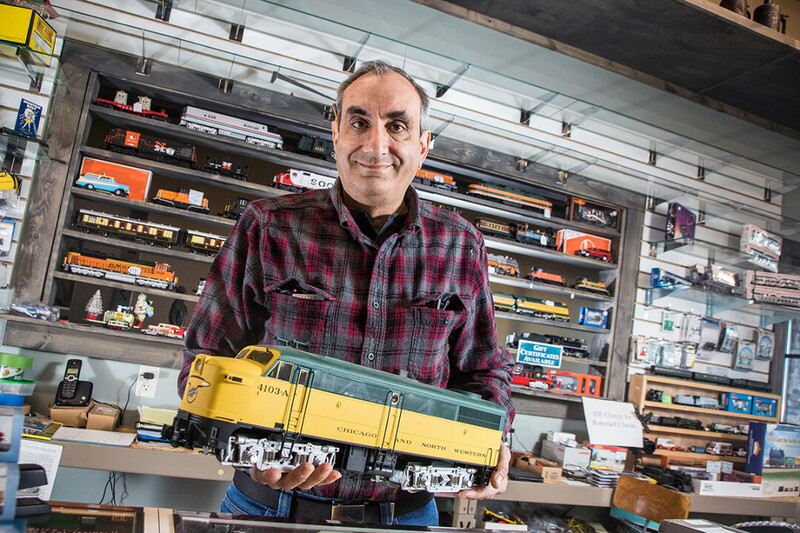 Like most model train enthusiasts, Paul Speros’ love for pint-sized locomotives began when he was a kid and his dad brought home an HO-scale train set. Like generations of children before and after, Speros was enchanted by the detailed miniature world – in this case, a world at 1:87 scale, where a single inch equals more than 7 feet. Although there were a few sidetracks along the way, it was this early experience that carried Speros toward eventually owning Model Train Classics in Eau Claire, the only model train shop in western Wisconsin. These days, youngsters are more often than not bitten by the model train bug thanks to a cheeky little British import, Thomas the Tank Engine. Thomas, the cheerful blue steam locomotive who has appeared on several TV series, including Thomas & Friends, is also the star of several model train collections, including wooden and HO-scale models. Model Train Classics has plenty of Thomas merchandise for the littlest customers (not to mention their parents and grandparents!) as well as an expanded collection of model trains, accessories, and memorabilia, all in a new retail space: Late last year, the shop moved from its cozy longtime location on South Barstow Street to a newer, much larger store in a new building at 4284 London Road. Speros has owned the business since 2010, when he bought out Charlie Schaaf and Bill Anderson, who had operated a model train shop in the same Barstow Street storefront since the mid-1990s. 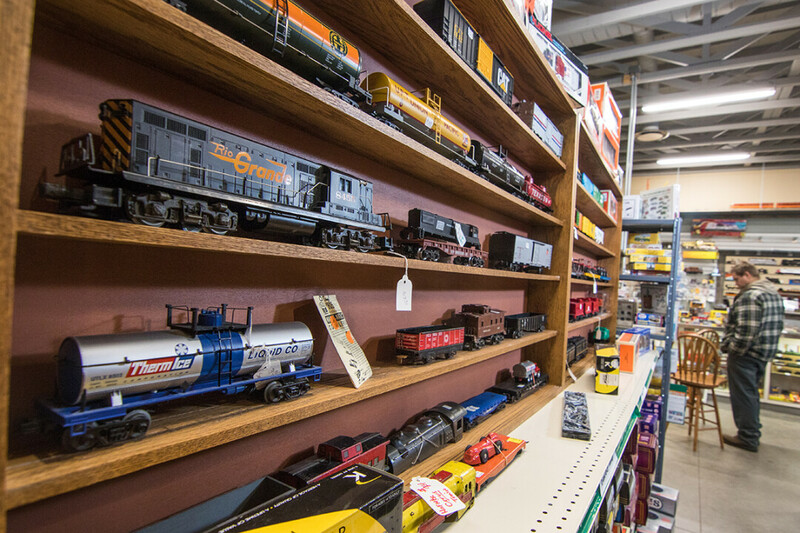 Like railroads themselves, model train stores have been impacted by technological shifts – specifically, online retailing. However, Speros maintains that his store offers a lot that its online counterparts can’t, including the opportunity to see items in person, better customer service, and personalized advice, particularly for people just starting in the hobby. And while the hobby ebbs and flows, Speros says it’s growing – thanks in no small part to Thomas and his steam-powered friends. Speros estimates that about 20 percent of his customers are kids or adults shopping for kids. On a recent Monday, for example, the shop was closed but Speros heard a knock on the door. It was family who had driven from near La Crosse with their 5-year-old daughter; it seems the only thing the girl wanted to do for her birthday was to visit the train store! Speros let the family in, and the overjoyed girl explored the store, played with the model layouts, and went home with some Thomas toys. Kids like that one – and train lovers of all ages – will be excited to learn that Model Train Classics and several other sponsors, including Menards, will be holding a big new train show this summer. The International Toy Train Expo is slated for Saturday and Sunday, July 7-8, at The Chippewa Valley Expo Center, 5150 Old Mill Plaza. The show will feature vintage toy trains, collector trains, and operating layouts, as well as vendors, exhibitors, dealers, railroad clubs, and other organizations. A visit to the expo or the train store might just be the spark needed to ignite the love of model railroading for a new generation – or an older one. Like many other hobbies, model railroading is something that is passed down through generations. “A lot of guys come here and say, ‘I’m setting up the train set for my grandkids,’ ” Speros said.